The debut psychological thriller that reads as Apple Tree Yardmeets Behind Closed Doors, by way of Double Jeopardy. First Thoughts... When I read Adult fiction, it's got to be a killer-read. I can't take any of that bland, non-existent storyline and same old, same old. I need action! Characters! An epic plot! So when I was approached to read The Guilty Wife, I was intrigued. Thrillers are definitely a genre that is popular at the moment. I own a lot of them, but never seem to get that gel with any of them, so I went into the book with an open mind. My Review... I wasn't expecting to like The Guilty Wife this much. But, sitting here after finishing the last few pages and reeling from a story with more twists and turns than a roller-coaster, I can say it blew my expectations out of the water. Bethany Reston is a married woman who runs a photographer studio, living in London, happily it would appear from the surface. Peaking underneath the wobbly surface, she is having an affair with a client of hers. A suave billionaire - who also happens to be married. Oh, and now, he's dead. See, Calum (the dead billionaire Bethany was having an affair with) had no intentions of leaving his wife for Bethany. But that doesn't make Bethany guilty, from a shallow perspective. But as the mistress? That does make her a suspect in the spotlight. But the further that Bethany has to hide her grief from everyone in secret, the more the mystery unravels. Throughout the bustling plot, many suspects and intricate mystery that wove itself through a modern mystery, I was totally engrossed by the compelling story Elle Croft had written. Bethany knows that to protect herself from the spotlight and evidence crawling back to her, she has to prove her story is the truth. The only way she knows to clear her name is to catch the killer. But catching a murderer? Not as easy (or safe) as it may seem... Overall, this book totally changed my perspectives on trying something new to read. I was so surprised how I didn't know who was guilty or not, and the things I didn't see coming (even though I'm usually so good at that!). I did get a little lost toward the end when the plot started unraveling, but as a whole, The Guilty Wife is a must-read for Thriller-lovers and a true great read. I can see myself recommending this to a lot of my friends and family that love this genre for it's originality and surprises around each corner! Huge four stars. Loved. 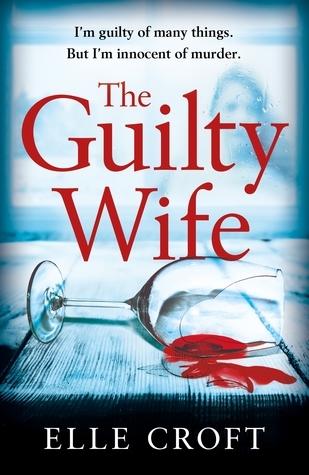 Have you read The Guilty Wife?